Tre Everette is the Tech Lead at Digital Youth Network. Tre primarily manages the technical implementation and direction of the learning platform, L3, and an array of connected learning applications such as Chicago City of Learning. The learning systems have been designed to expose learning actions within an ecosystem and increase access and equity to learning opportunities across a child’s environment. Tre enjoys partnering with a diverse set of domain experts to create a strong impact on learners and their trusted circle. 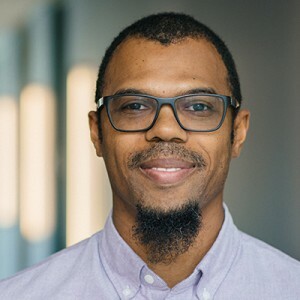 By combining his technical experience with researcher design questions, Tre creates digital blended learning tools that help educators connect with valuable resources inside and outside of the typical educational environment. Using an iterative process with researchers and designers, Tre and his team build efficient tools that encourage learning in different roles. The learning platforms are designed to produce data to inform parents, school districts and even cities how to design better learning opportunities. Before Digital Youth Network, Tre worked at several Internet companies including Peapod and iGive.com. Most recently, he designed and implemented web applications and data services for Tribune Company. Tre holds a B.S. in Computer Engineering from Northwestern University.